10,000 cr. went to NBFCs, though REC was a big chunk. Still, fairly good showing for the financial world. Shriram Transport able to raise over 1,300 cr. at close to 8%. This is an excellent sign for the company that had to close its NCD issue (at 9%+ yields) early last month because the demand was iffy. 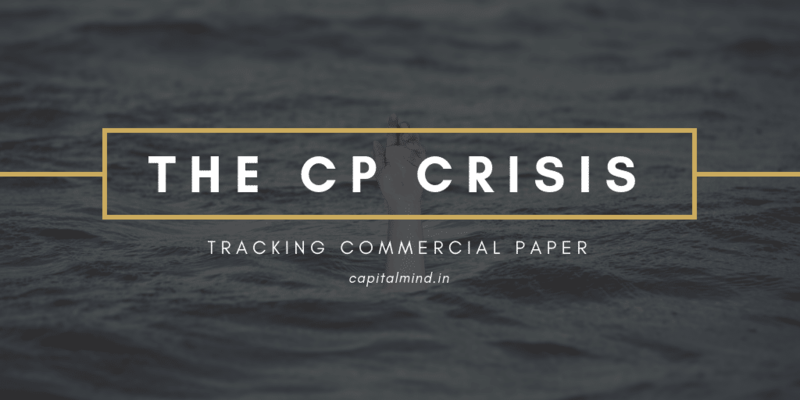 We saw issues by M&M Financial Services, Aditya Birla Capital, IIFL , Indiabulls Commercial Finance and Piramal too. 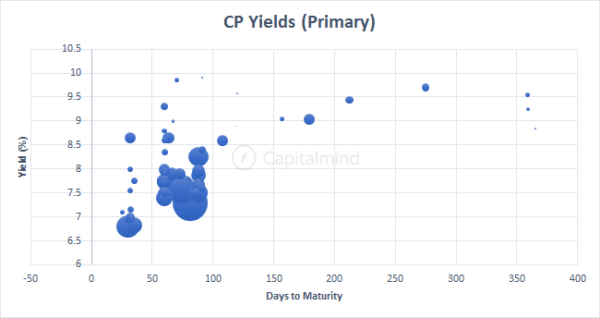 Yields for longer term CP is still over 8.5% but that would be considered normal today. Yield are very low for corporates, with even an SRF paying just 7.6% for 91 day paper. The Yield Curve shows a lot of activity around the 60-90 day area with relatively lower yields than you would have imagined for a debt crisis of sorts. Overall, the debt markets have resumed activity and are looking fairly strong. Since November 16, we have seen issues of over 90,000 crores. NBFCs and Housing Finance companies have all participated, but yields for housing finance companies are elevated compared to the rest. With only four more days of November left, it looks like India has ridden well through this crisis so far. We’ll track data till November end and then let it go if there’s no further crisis-like situation.